On the isolated banks of the York River, twenty miles south of present day West Point, near the native village of Chiskiac, a party of ten Spanish settlers established a mission. The year was 1570. Among the settlers were two Jesuit priests and three Jesuit brothers. While their missionary effort would end tragically just two years later, a Catholic presence had been established in the area, a full three decades before the English founded Jamestown. Catholicism briefly touched the area some 200 years later, in 1781, when the Roman Catholic Marquis de Lafayette with his cannon fortified the point against British attacks. Not until late in the 19th century would a strong Catholic presence be again felt in the region. Following the Town of West Point’s incorporation in 1870, immigrants from around the world arrived to make their homes and lives. 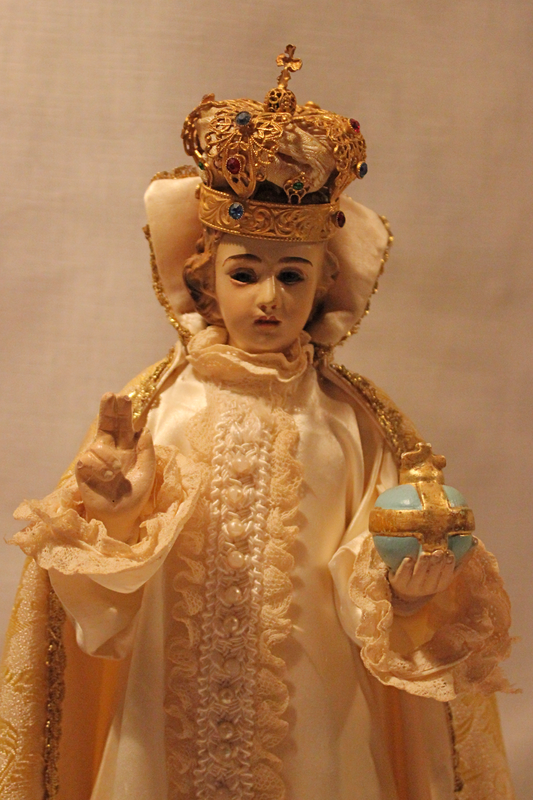 By the early 1900s, the Catholic population had grown sufficiently to justify monthly services; these were held in the home of local hotelier, Charles Pumphrey, and his wife Agnes O’Connor Pumphrey. 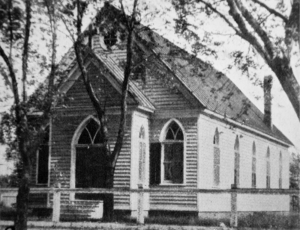 Several local Catholic leaders: James B. O’Connor, Colonel William Burleigh, and Captain Frank Rogers, realized the need for a permanent place of worship, and with the additional efforts of Bishop Augustine Van de Vyver of Richmond, established a mission church for St. Patrick’s Church in Richmond. So it was in 1906, that a small, white frame church was built on 13th Street, between Main and Kirby Streets. 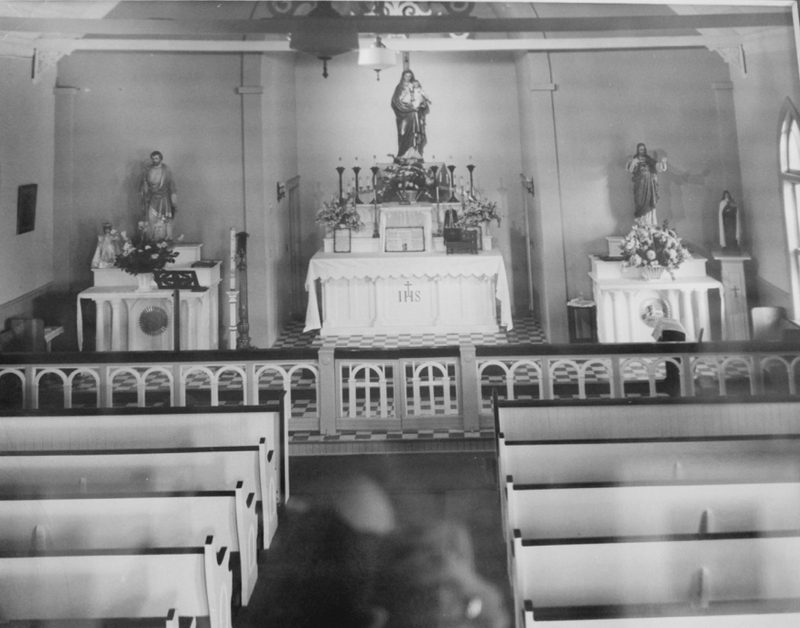 This mission church was named St. Theresa’s Church and it was there that St. Patrick’s Fr. 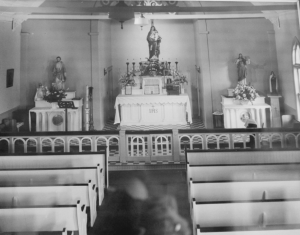 Hugh J. McKeefry and his assistants celebrated monthly Mass until 1916. At that point, Fr. 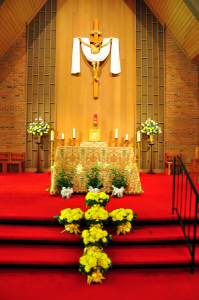 William Jan of the diocese’s Polish Missions of Northern Virginia took over the monthly Masses until St. Theresa’s outgrew its “mission” status in 1918. 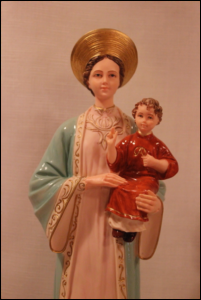 St. Theresa’s first permanent pastor was the beloved Father Ceslaus Jakubowski, fondly referred to as Father Jack. St. Theresa’s served the needs of the Town of West Point for more than 50 years, until it closed in 1960. 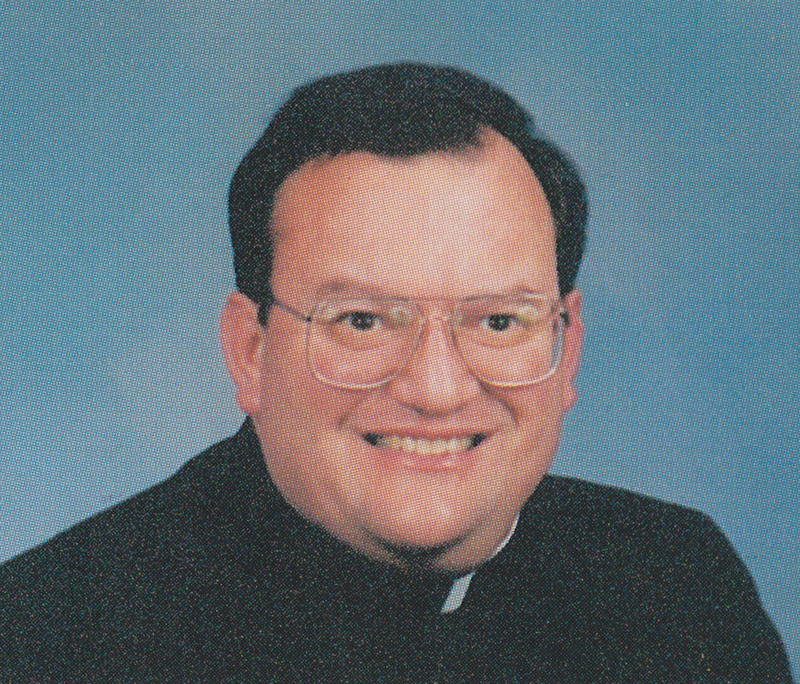 The area’s first full-time Catholic priest would serve West Point for 43 years. 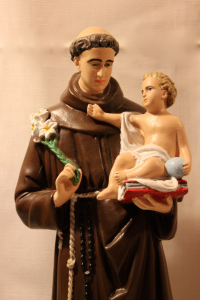 Born in Sochocin, Poland on September 13, 1890, Father Jack came to America as a child, and attended parochial school in Chicago. After graduating from the University of Notre Dame, he completed his preparation for priesthood at Saints Cyril and Methodius Seminary in Orchard Lake, Michigan in 1918. In both 1915 and 1917, Father Jack visited West Point, spending his summers as a guest of the Pumphrey family at the O’Connor Hotel. 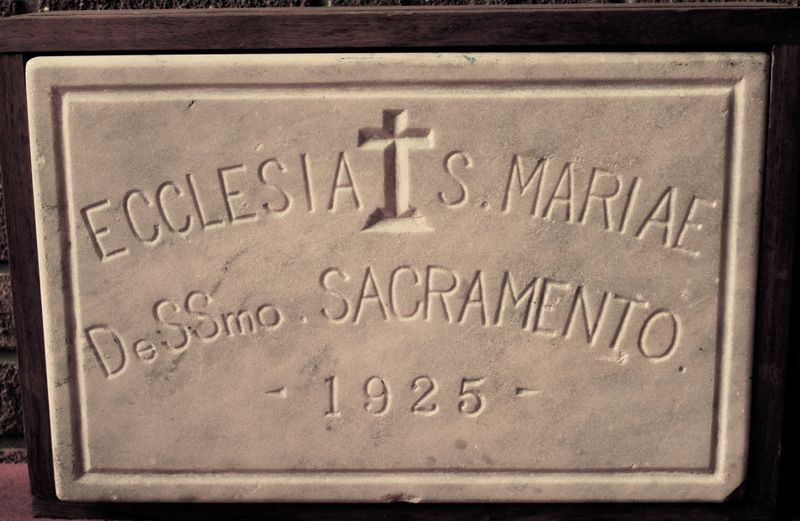 He was appointed pastor of St. Theresa’s Parish, West Point in July 1918. His territory was broad, stretching from Tappahannock to York County. 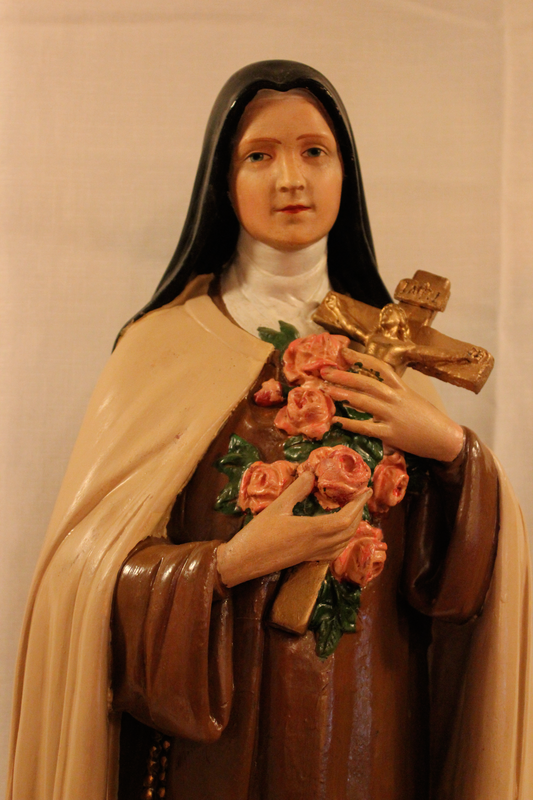 In 1938, his flock grew with the construction of the Church of St. Therese The Little Flower in Gloucester. 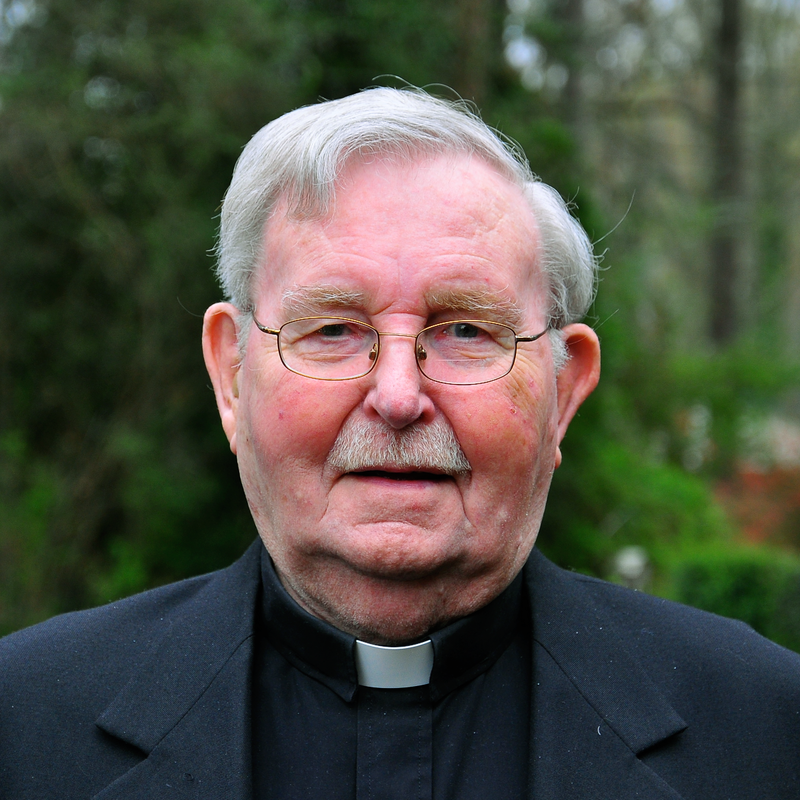 A chaplain at Fort Eustis for many years, Father Jack celebrated Saturday Masses with hundreds of servicemen. In the early years of the West Point parish, the indefatigable father traveled by bicycle or horse and buggy, using ferries where bridges stand today. In later years he would travel by automobile, in a convertible donated by DeShazo Motors, the Ford dealer in West Point. The early twentieth century saw the arrival of numerous Polish families to the area. 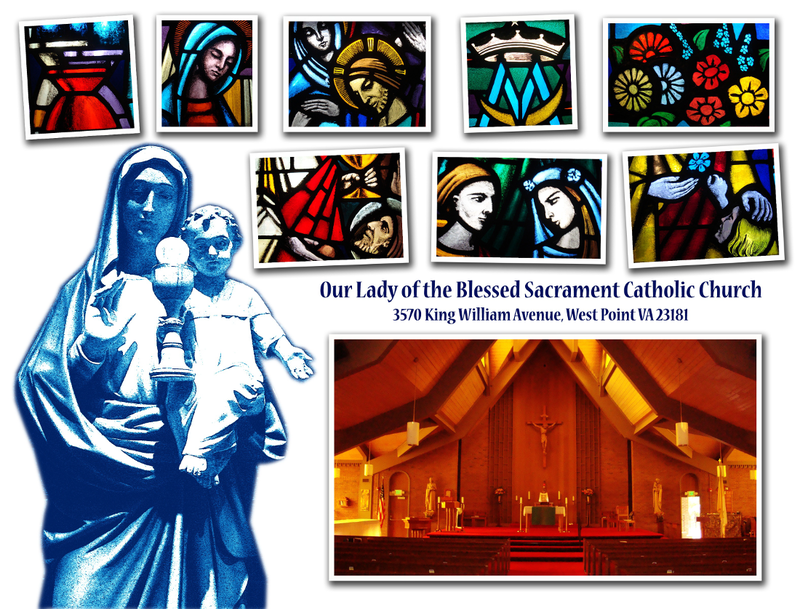 Acting in response to newspaper advertisements heralding the availability of jobs and land, a large Polish Catholic community developed just outside of West Point. Incorporated in 1926, the new town of Port Richmond, annexed by West Point in 1963, became home to the region’s largest Catholic population. Such a community needed its own church. Polish at OLBS in Port Richmond. Under the leadership of Father Jack, a parochial school and convent were constructed on OLBS grounds, in 1931. 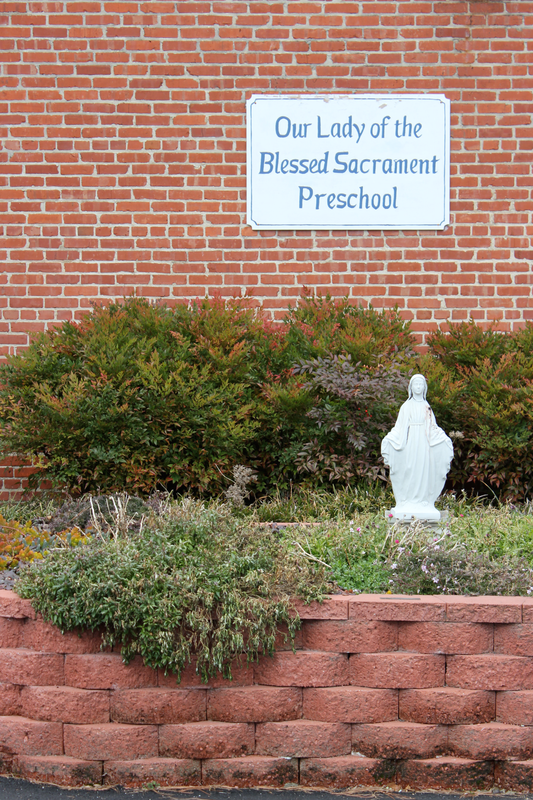 The school, staffed by the Sisters of Mercy of the Union from the Baltimore diocese, instructed approximately ninety students in grades one through eight. The tireless priest even drove the school bus. Despite the school’s success, the lack of teaching sisters led to the school’s closure in 1968. 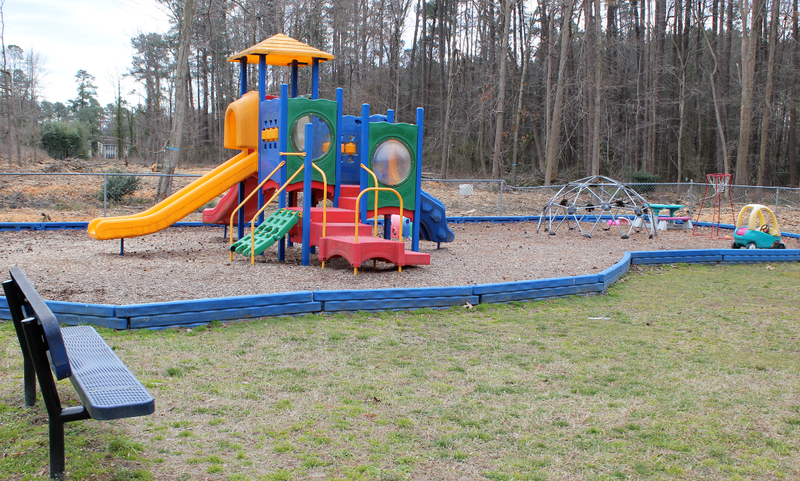 The school building was then used by the Parent-Child Development Center to provide Head Start programs for local disadvantaged preschoolers. 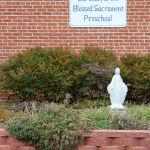 Following a renovation in 1998, directed by Father Jim Arsenault, the building is used by our own OLBS Preschool as well as the Good Neighbor Center, which has a food pantry and clothing closet for our neediest local residents. 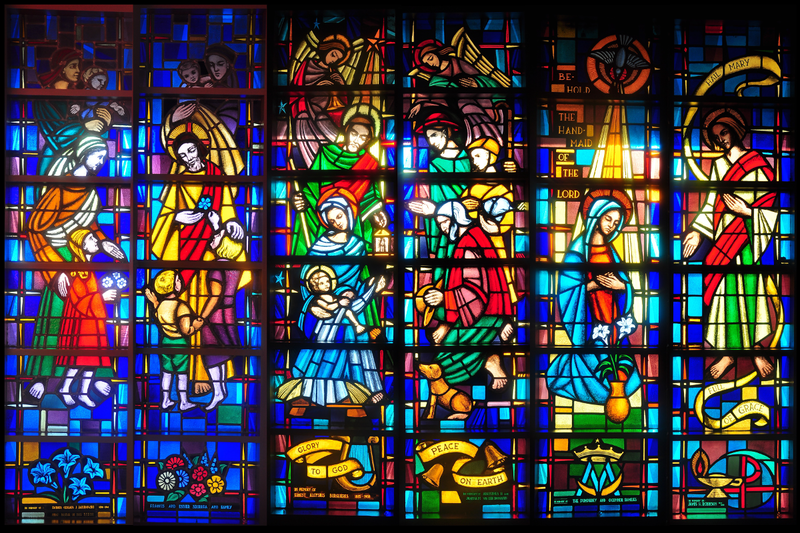 The convent was renovated as well, renamed the Mercy Center, and is currently used as the parish offices. 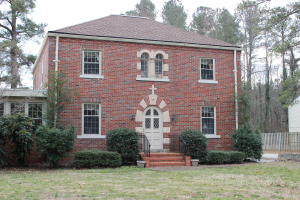 The church rectory originally stood in close proximity to the 1931 school. The structure, a Sears catalog wood-frame house, was moved a few hundred yards to its present location in the early 1930s. In later years, the same structure would be extensively remodeled into its present brick-facade form. 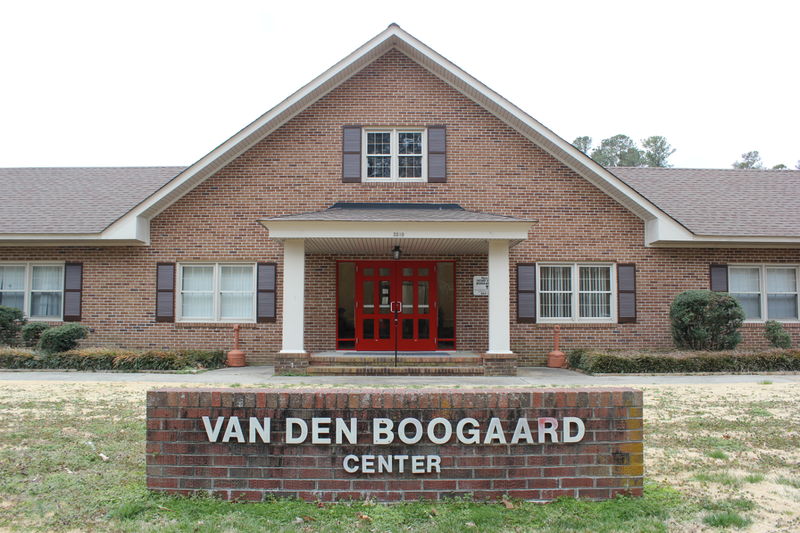 In the late 1930s, the building now known as the Father van den Boogaard Center began its life as the Pamunkey Tea Room. This was somewhat of a misnomer for a dance hall and center of social activity that served beverages with more of a kick than tea! In the years leading up to and during the Second World War, it was a favorite of locals and servicemen alike. 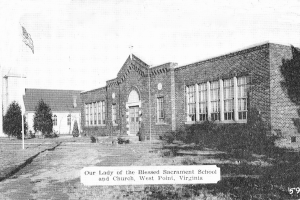 Following the end of WWII, with an act of Father Jack’s visionary foresight, the parish purchased the Tea Room, which was later enlarged and remodeled to become the parish hall and religious education classrooms. A vestige from an earlier world war, the old shipyard railroad tracks lay between the rectory and the current church. They were removed during one of many scrap metal drives of WWII. 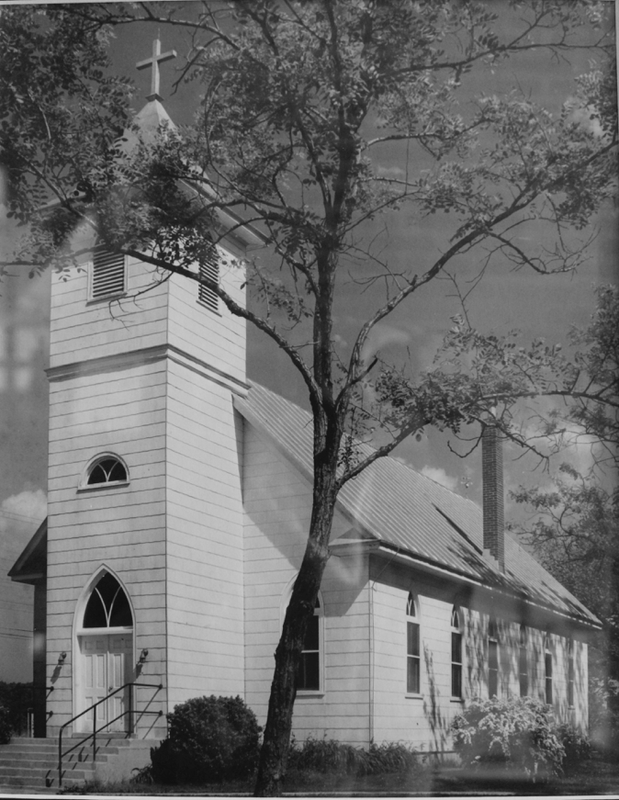 The railroad right-of-way would remain, however, until deeded to the parish in 1967, thereby enabling construction of the new church. In the years following the war, the Department of Highways rebuilt King William Avenue. In 1952, Father Jack approved the department’s placing of fill dirt on parish land. This addition elevated the land that would soon host the new church and its adjacent parking lot. Over four decades passed from the time that the tireless and dedicated Father Jack was first assigned to the small, white-frame church in the little town between two rivers. In the words of one devoted parishioner, the good Father had the “zeal of a true apostle and projected himself into the work of developing a flourishing congregation.” On July 20, 1961, Father Jack’s death was mourned by this congregation and throughout the larger community. In St. Theresa’s Cemetery, an eight-foot high granite cross marks the grave of the man from Poland who became shepherd to the flock in his adopted Virginia. 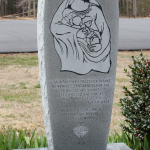 In loving memory, the local Knights of Columbus Council #8116 carries his name to this day. Serving as Father Jack’s administrator, Father Joseph Baran would assume the role of pastor from 1961 to 1965. 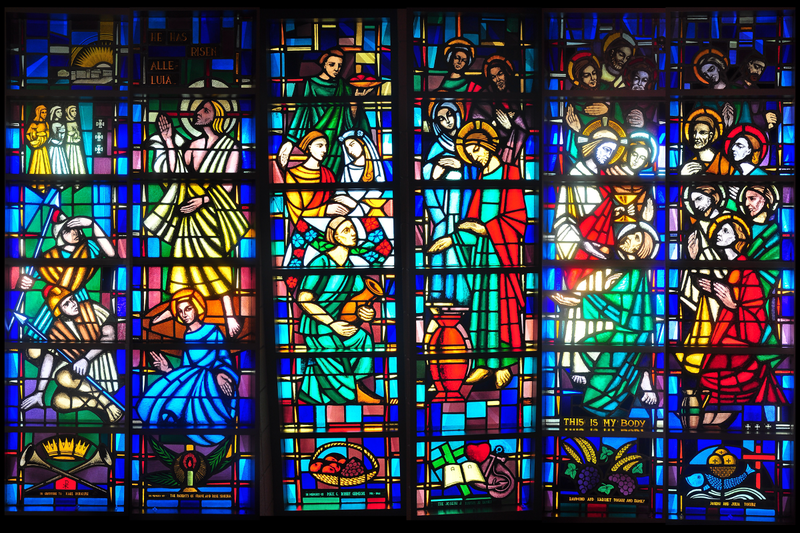 It was his dream of a larger church building that would lay the foundation for what was to come. Another financial concern was the rectory; with the passage of time, it was in desperate need of repair. 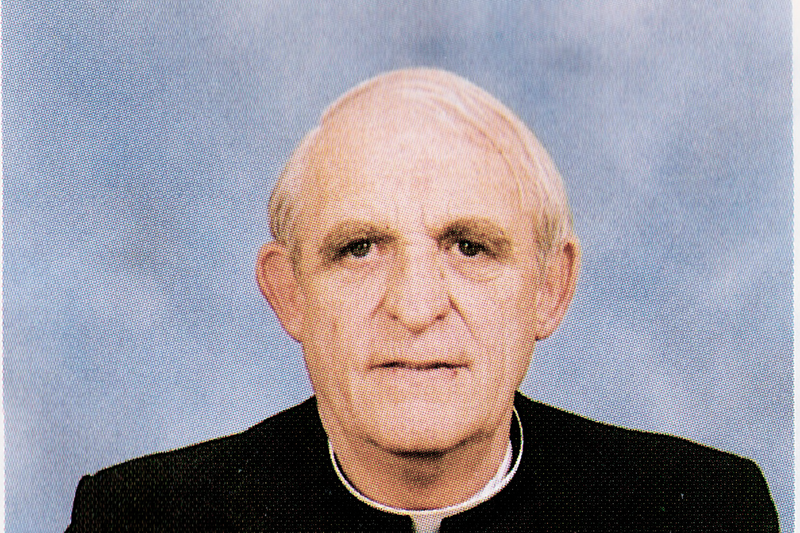 Through Father Baran’s leadership efforts, a fund of $20,000 was raised with the goal of construction and renewal. In 1914, a future priest was born in the town of Tilburg, Netherlands. 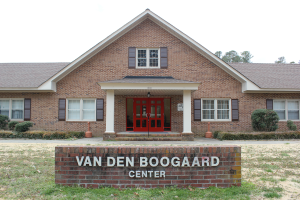 At the young age of thirteen, Henry van den Boogaard heard his calling. Ordained in 1942, he would pursue his priesthood in a nation occupied by the German army. His devotion to God and country would be tempered in the fire of adversity by his heroic activity in the Dutch Underground. With the end of the war came a new assignment – as a missionary to Chile. From the Mapochos Indian villages of the Andes to the slums of Santiago, Father van den Boogaard labored tirelessly, building schools, convents, and a rectory. extensive masonry skills to the rectory’s major remodeling, constructing a brick facade that would unify the various church buildings. 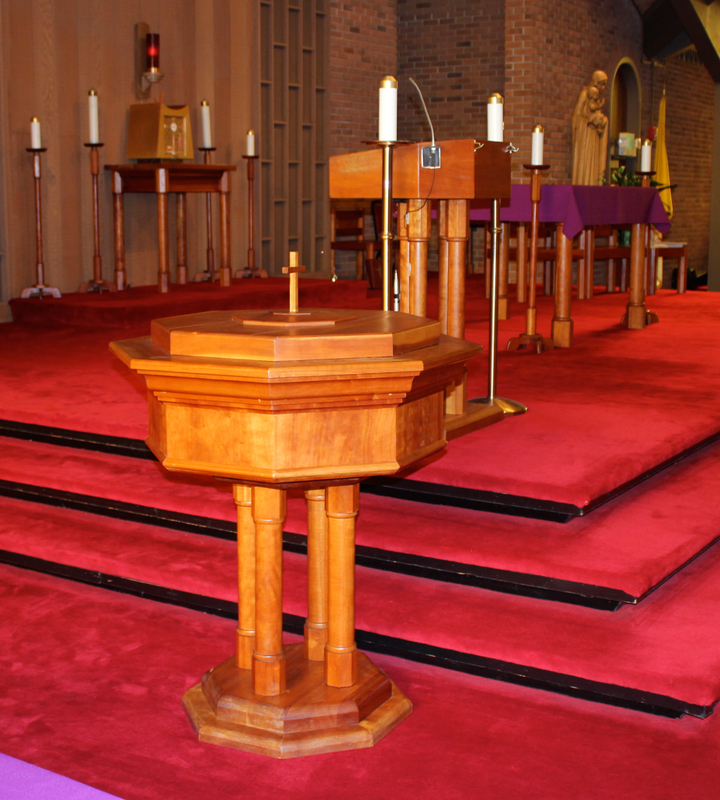 Father van den Boogaard designed a new church building, and under his gifted leadership, the current house of worship was completed in 1968. 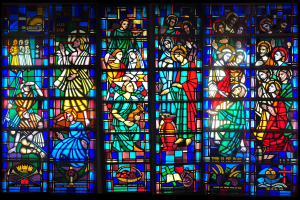 The church’s stained glass windows, designed by Father van den Boogaard and created with skill and devotion, are tributes to the priest, parishioners, and others who labored under his direction. 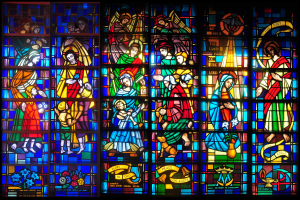 Father van den Boogaard ensured that those who volunteered their efforts would be remembered; in the windows they had helped create, his workers etched their names into the intricate designs. As a final touch, a generous parishioner donated both the altar crucifix and the wooden statues of Joseph and Mary that flank the altar. 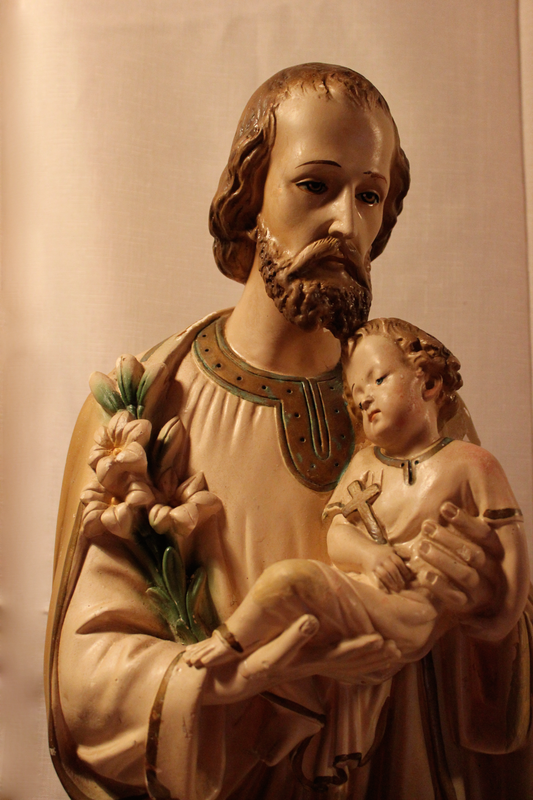 These were carved by the Lang brothers of Oberammergau, Germany, friends of the benefactor. Each had occasion to portray Christ in the Passion Play. 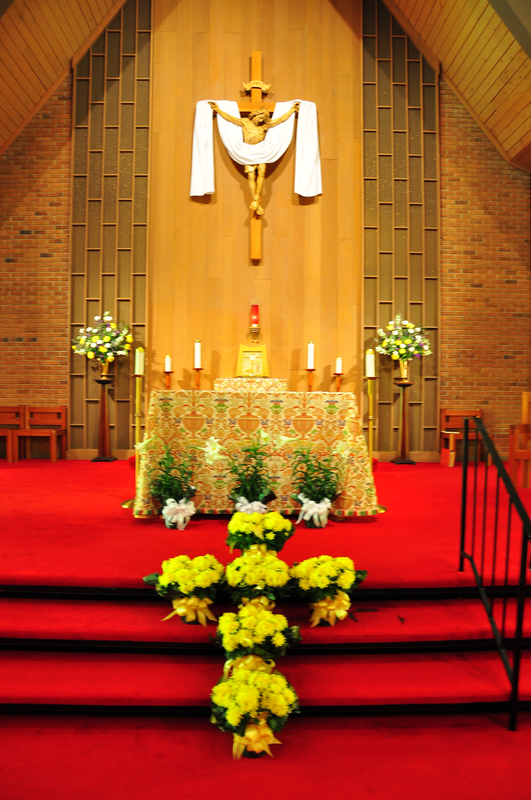 The 1968 dedication of the new building coincided with the parish’s celebration of the 50th anniversary of its original establishment as the parish of St. Theresa. 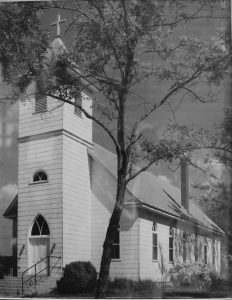 Father van den Boogaard saw potential in the Pamunkey Tea Room that Father Jack had acquired for the parish. Through Father van den Boogaard’s direction, the former barn-like structure was increased in length by 45 feet. The open ceiling was dropped and modern lighting and an HVAC system were installed. The beautiful woodwork and trim were the end result of the multitalented father’s skilled labors. 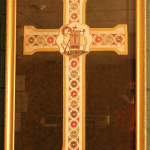 One of Father van den Boogaard’s paintings is permanently displayed in the main hall. Today the parish center bears the name of the heroic priest from Holland, dedicated to his memory for generations to come. 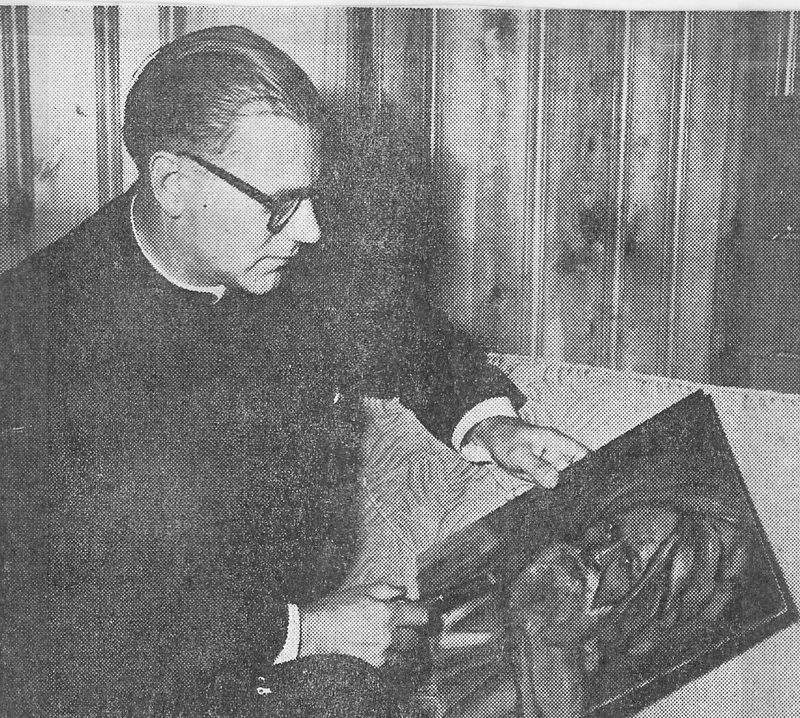 During his tenure here, Father van den Boogaard perceived of an opportunity to reach out to a group of devoted Catholics who were deserving of an advocate. 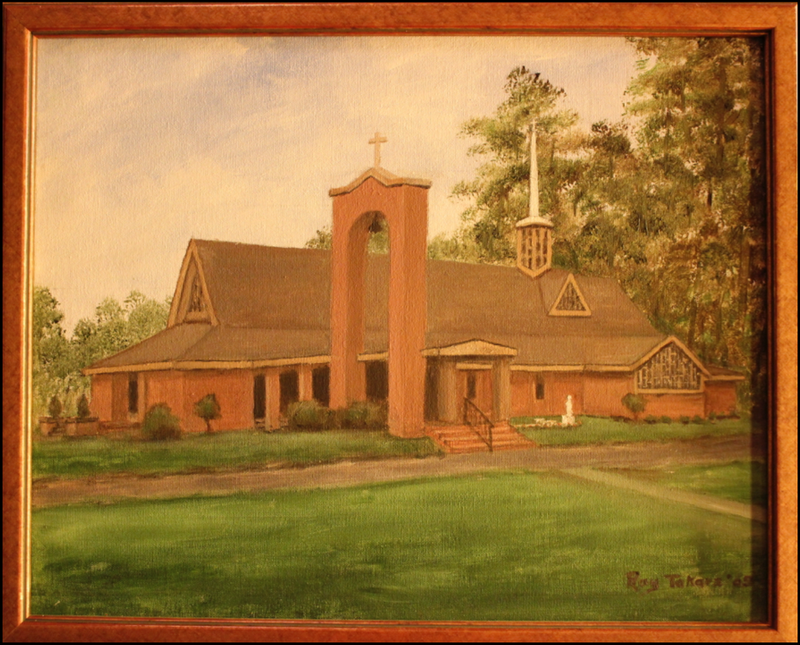 In 1975, the OLBS congregation, descendants of immigrants themselves, sponsored 15 Vietnamese refugees. The old three-room Port Richmond public school near the parish hall was remodeled to house these first arrivals. Our church family has been enriched by the addition of these faithful families who have made OLBS their adopted parish. 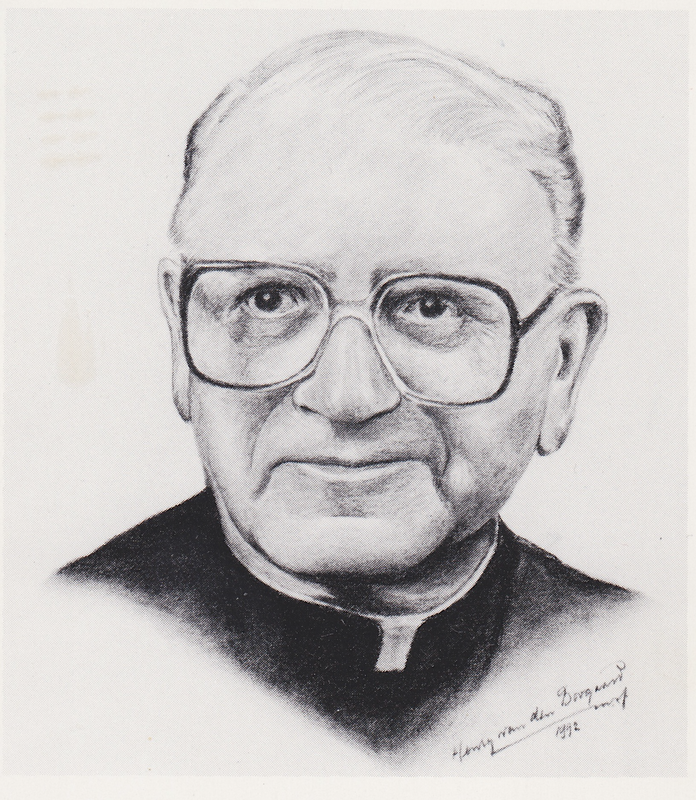 uilding upon the able foundation of his predecessor, Father Joe refocused on the opportunity to offer refuge for Polish citizens suffering religious persecution in Europe. 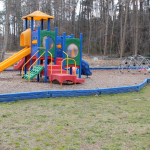 Through his efforts with the Office of Refugee Settlement of the Richmond Diocese, numerous families, formerly residents of camps in Austria, were able to escape their plight, making our community their new home. 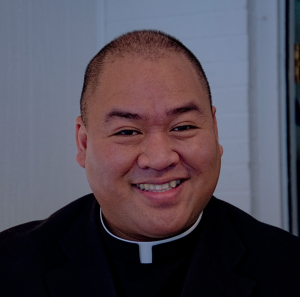 As president of the West Point Ministerial Association for three years, Father Joe worked with other community pastors, never forgetting the Catholic Church’s mission for peace and justice. Furthermore, Father Joe served as the founding pastor for the Knights of Columbus in West Point, an organization that continues its good work in the parish. Father Scott is credited with establishing the RENEW Program, an effort that acted as a guide for spiritual growth among the congregation. 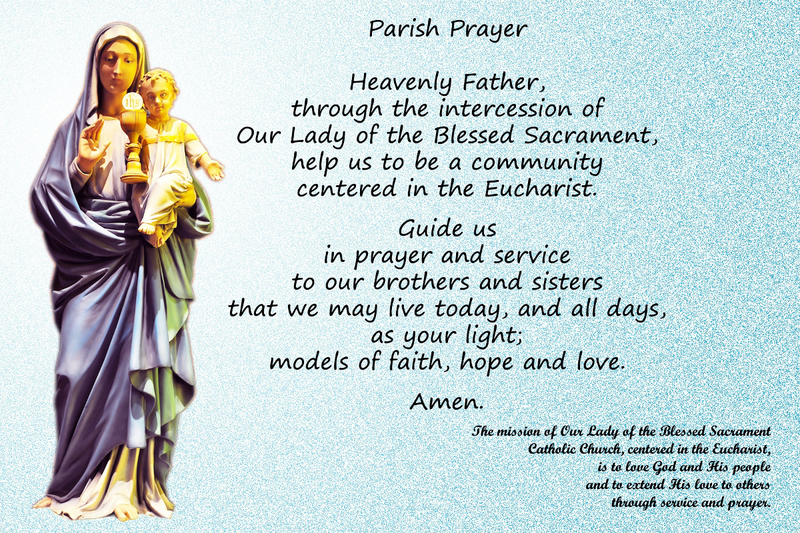 Additionally, he instituted the practice of saying the rosary in conjunction with Saturday Mass. 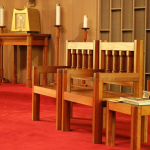 Father Bob Warren brought changes to our parish in introducing new liturgical practices. 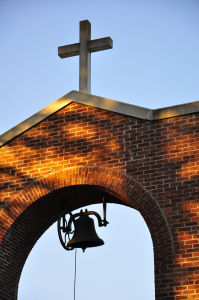 During his time at OLBS, the parishioners raised money to purchase the brass handbells that enhance our special Masses. 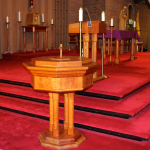 Father Warren also commissioned the new altar furniture that still graces our church. It is no small irony that another priest who would devote a major part of his life in West Point, hailed from the Netherlands, as well. 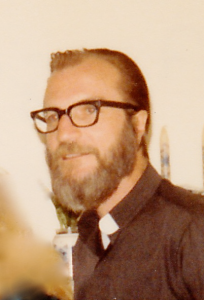 Father John Brieffies, born in 1922 in Lujtbroek, Holland, was ordained into the Missionaries of the Holy Family in 1956. 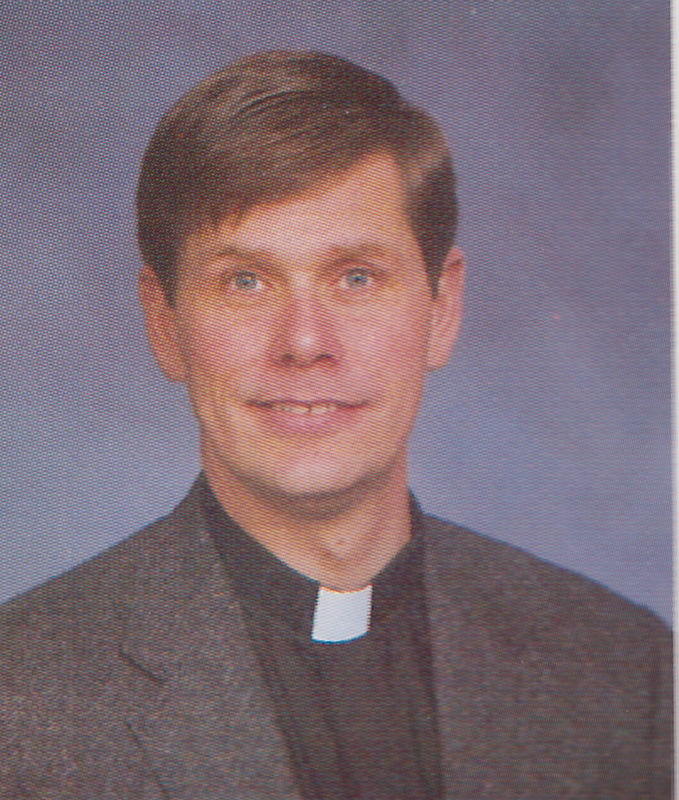 Like his predecessor, Father van den Boogaard, before him, Father John served the faithful in Chile. 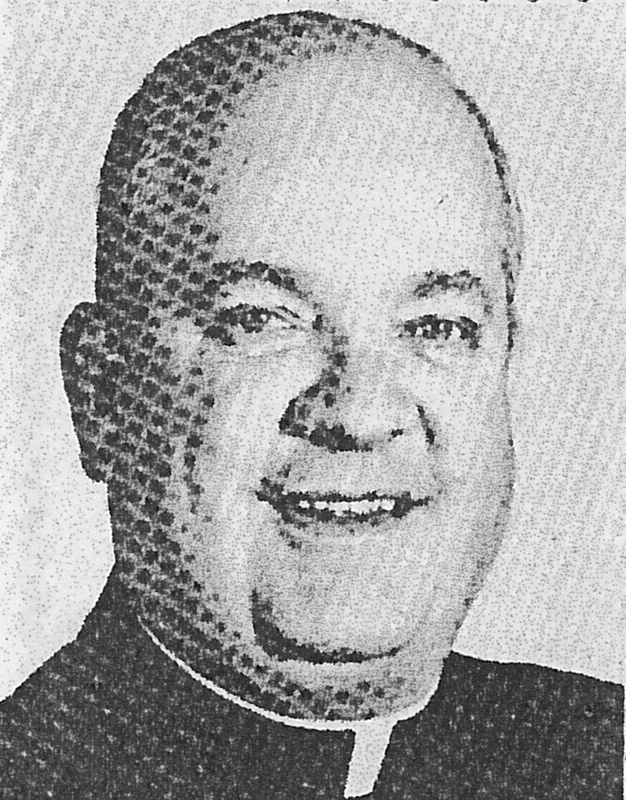 In 1971, the good Father assumed the mantle of executive Director of the General Mission Office, operating from his office in West Point. Father John continues to assist at Mass at Our Lady of the Blessed Sacrament Church, as well as serving as chaplain to the local Knights of Columbus; Father John has endeared himself to the council membership and parish congregation alike. 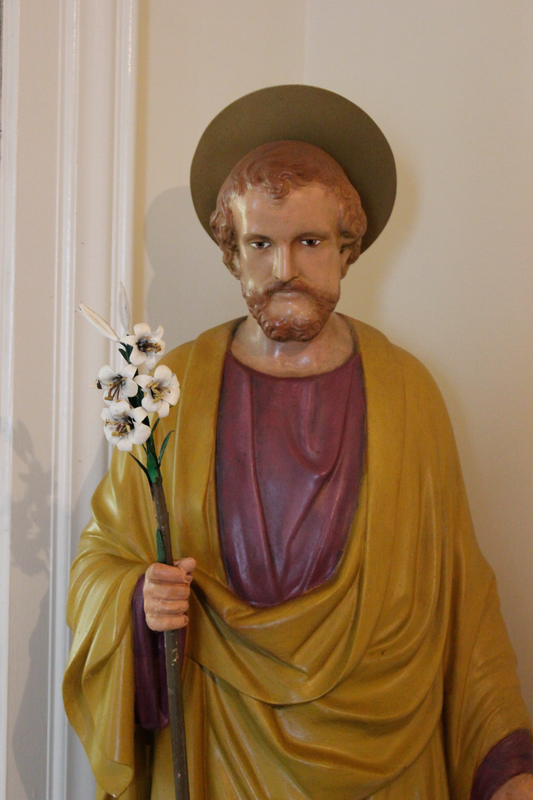 During Father Jim Arsenault’s relatively short tenure in the parish, he raised more than $200,000 and used that money to renovate the school and convent so that these links to our past were neither lost, nor useless. 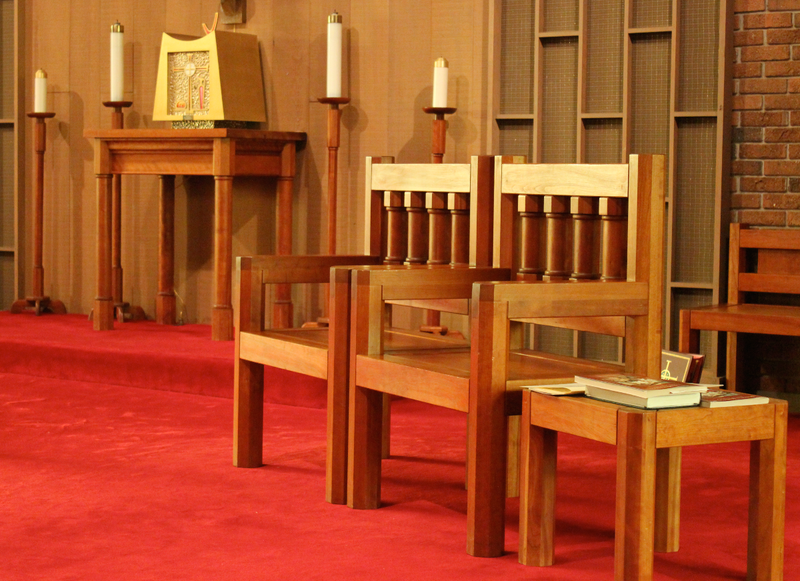 Through his leadership, a structure formerly considered for demolition now serves the parish as home to the Mercy Center, preschool, and the original chapel where Eucharistic Adoration occurs each week. He was able to retrieve artifacts from the original churches and return them to places of prominence in the new church and the newly-named Mercy Center. 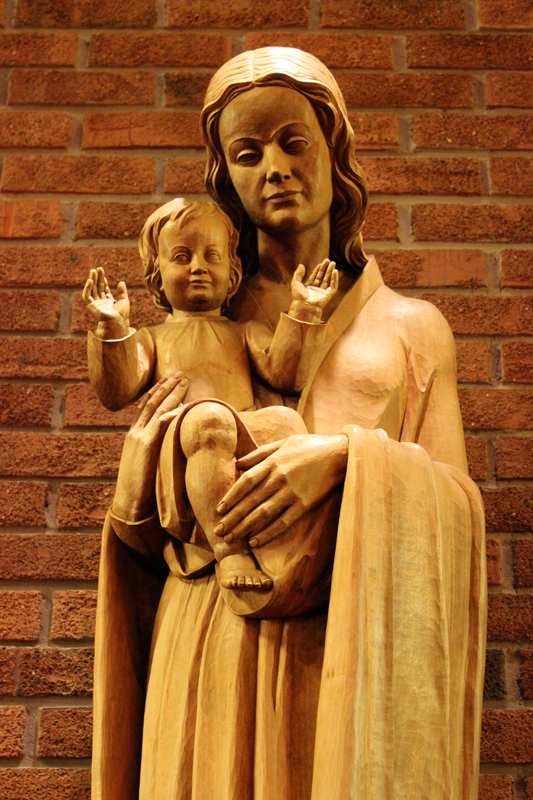 Among the rescued statuary was an image of the church’s namesake, Our Lady of the Blessed Sacrament. 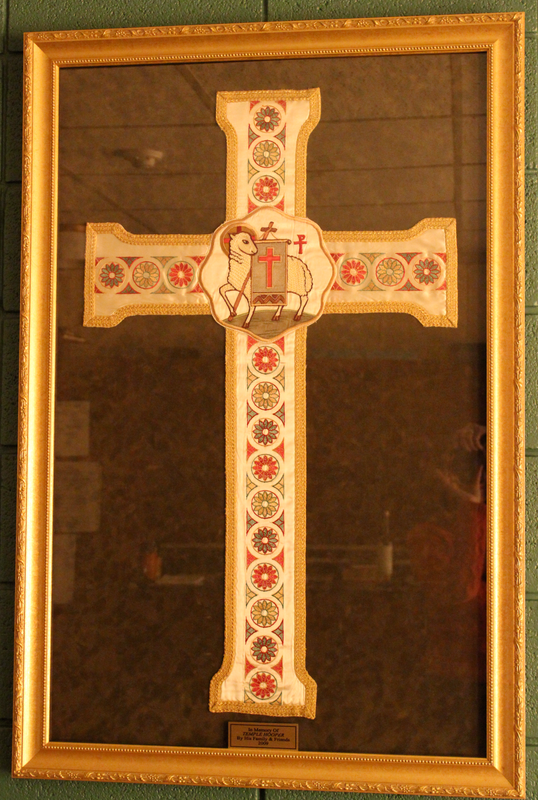 Restored, it today enjoys a place of prominence at the entrance to the worship space. 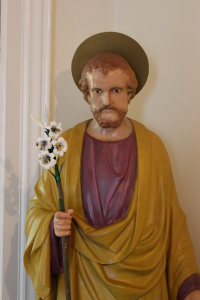 Perceiving the need to update facilities, Father Ed lent his talents toward renovating the rectory, as well as the parish hall lighting and kitchen area. As a veteran Air Force Chaplain, his overseas tours brought a sincere perspective to active duty and retired military members and their families. 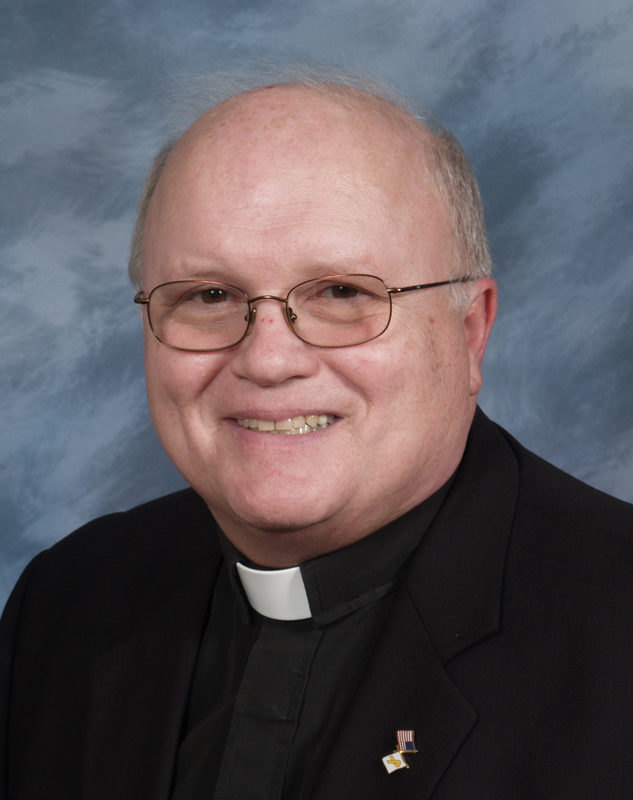 Father Ed’s contributions included his ministry to those who risk their lives for our freedom, his closing prayer to St. Michael, and his heartfelt and thoughtful homilies. 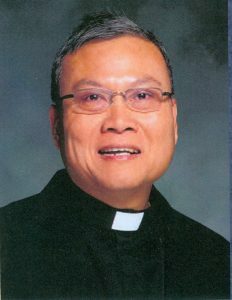 Father Lee, as he came to be known, presided over the 90th anniversary of OLBS. 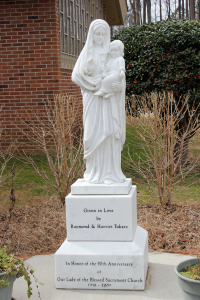 During that commemorative event, parishioners donated the beautiful garden statue of Our Lady and the nearby benches. 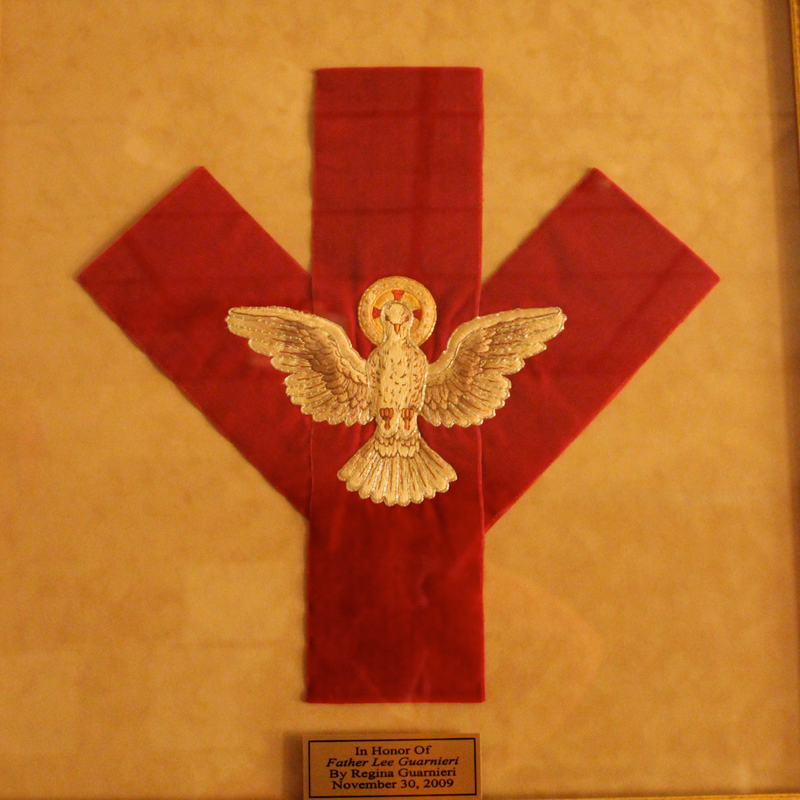 As part of his legacy to our parish, Father Lee and his generous mother also provided the sacristy’s framed display of historic vestments. Father Edgar, like Reverends Jakubowski, van den Boogaard, and Brieffies before him, has traveled far from his native land. His homeland, the Republic of the Philippines, has given our country many priests, an example American Catholics would do well to emulate. As pastor, Father Edgar exemplifies a true disciple of Christ, sharing a gentle love and a sense of caring that transcends cultures. With his trademarks of a genuine smile and hug, we are fortunate to be blessed by his priestly presence. 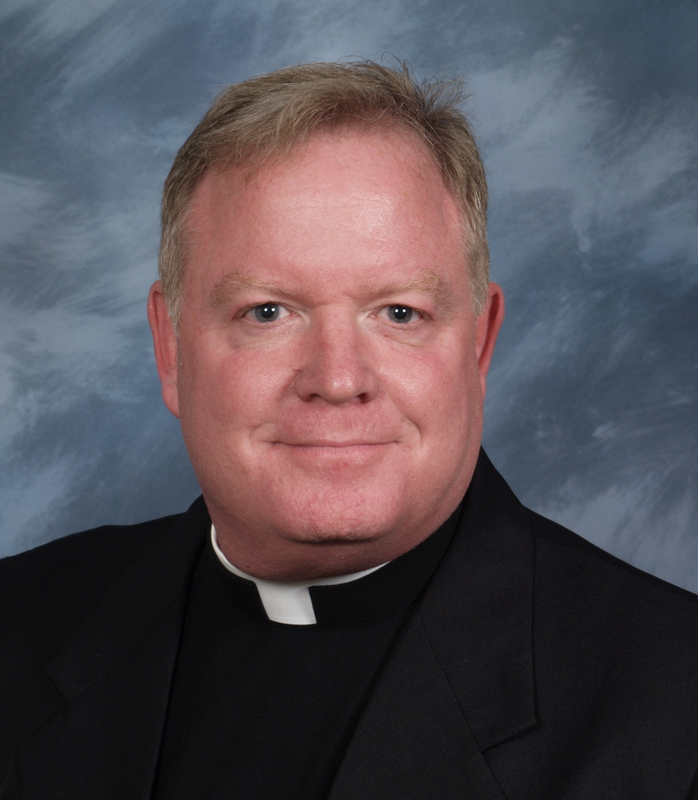 Deacon James Conklin was ordained in October 2012 and assigned to both OLBS, his home parish and to St. Elizabeth Ann Seton in Quinton. A teacher, trainer and behavior consultant, Deacon James and his wife, Kate, have six children. Deacon James was the first Permanent Deacon assigned to our parish. 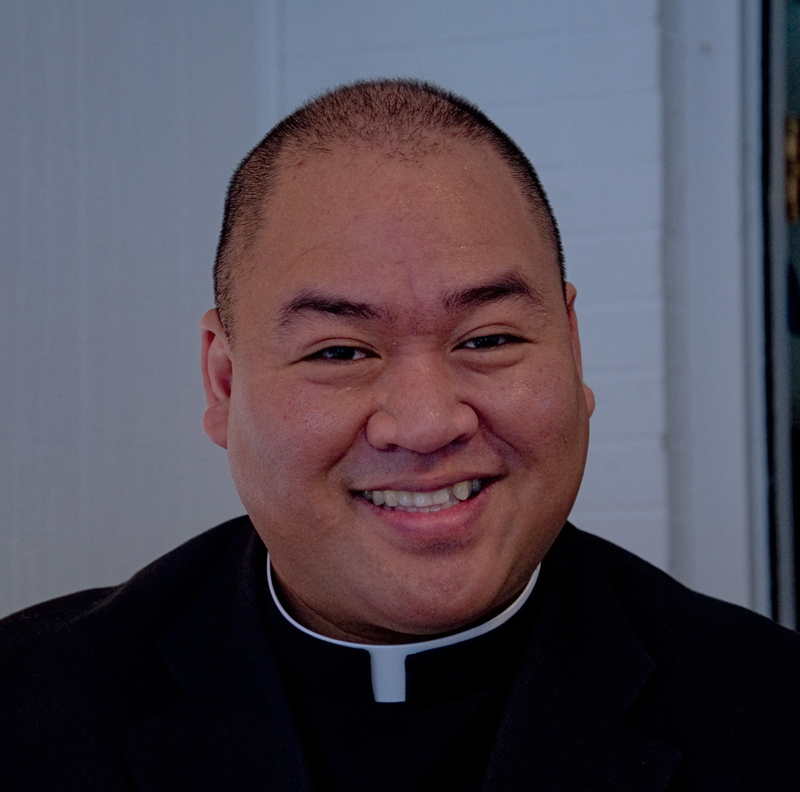 Following Father Edgar, the parish was fortunate to receive our second priest from the Philippines, Father Julio Ciriaco B. Buena. 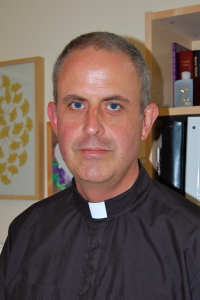 Known affectionately to the congregation as Father Julz, he quickly acclimated to his new home. 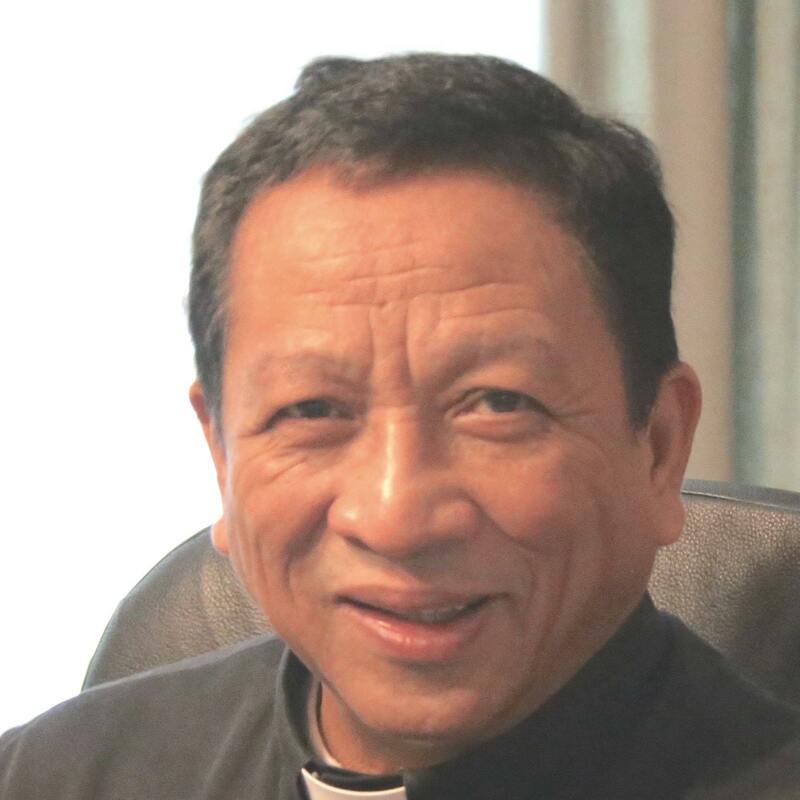 Father Julz was ordained in 1990 in the Philippines, and celebrated his Silver Jubilee in 2015 during his tenure at Our Lady of the Blessed Sacrament. His assignment here in West Point would be appropriate, since Our Lady was Father’s favorite saint. St. Joseph was an inspiration to Father Julz, which led to Father’s dedication to visitation of shut-ins and the sick of the parish. From his heartfelt sermons to his trademark hugs, Father Julz’s pastoral leadership will be remembered as true to the example of our Savior. This is only a brief summary of our church history. 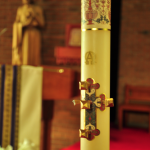 The parish we have today is a culmination of the efforts of those who have come before. Now they have passed the torch to us. Where we go from here is up to us. We are the church. Thanks should be given to Ray and Harriet Tokarz and Linda Drexler for their personal recollections. Especially useful was the portfolio “Remembering Our Roots, Shaping Our Future.” Mary Horton and Kate Conklin helped with editing this record of our parish history. Additionally, special thanks should go out to Ray Tokarz and Father Edgar Cleofe for their encouragement and inspiration. The statue of the church’s namesake was behind the altar in the first OLBS church building. It was removed when that structure was dismantled, and then it was stored in a barn belonging to Henry and Marian Kopacki. Father Jim Arsenault sent the statue to Baltimore for restoration and returned it to the new church building during a May Procession in 1998. 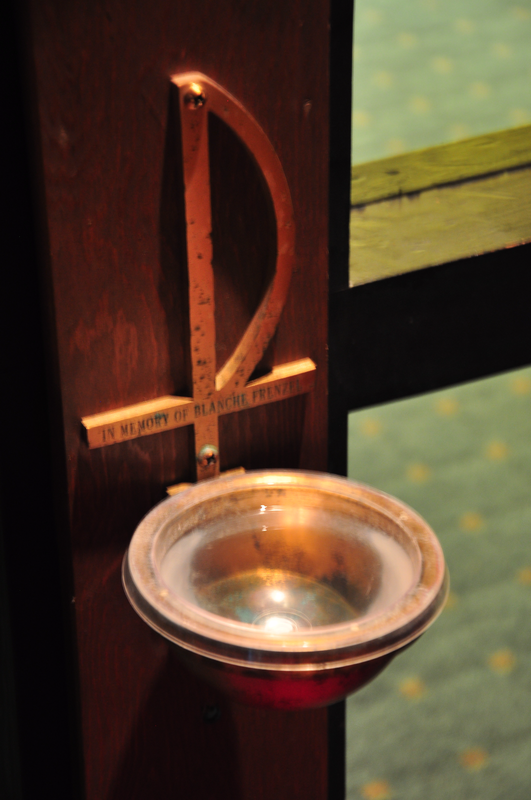 It is now located on the right when entering the church’s worship space. 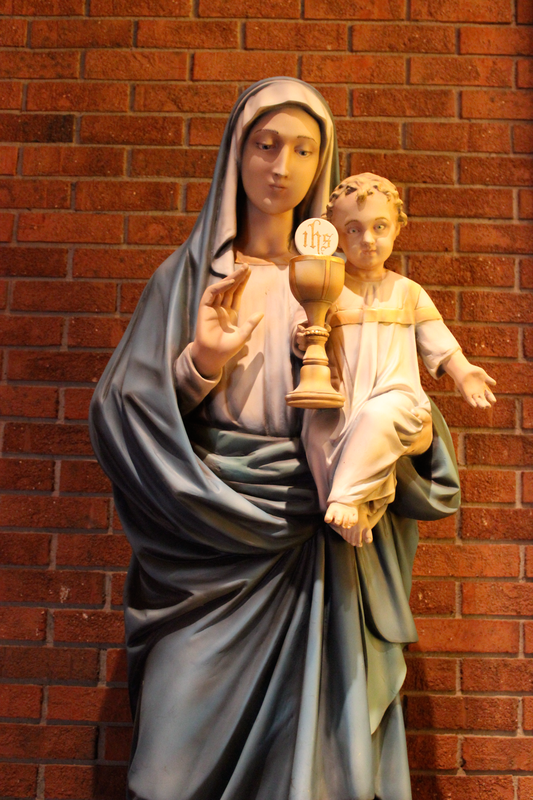 This statue was originally in St. Theresa’s Church on 13th Street, then in the first OLBS church. 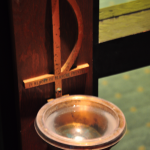 It is located in the alcove behind the pews. 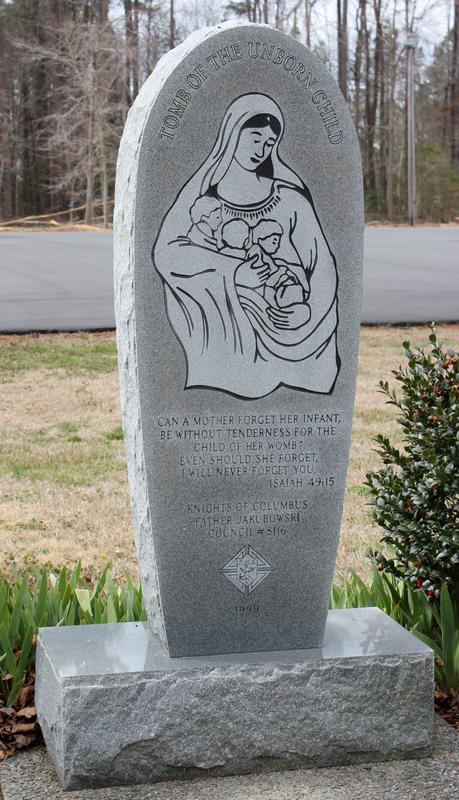 Following the demolition of the first OLBS church building, Anna Kozlowski tended to this statue. 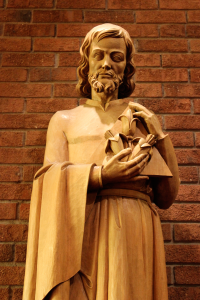 John Kellam refurbished the statue and mended the garments before returning it to the new OLBS church. 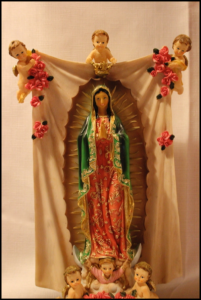 It is currently on top of the library bookshelves in the narthex. This statue was stored by Natalie Szelagiewicz until the new OLBS church was built. 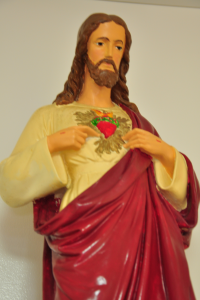 You can see it on top of the library bookshelves in the narthex. Nell Downey gave this statue refuge after the first OLBS church was torn down. 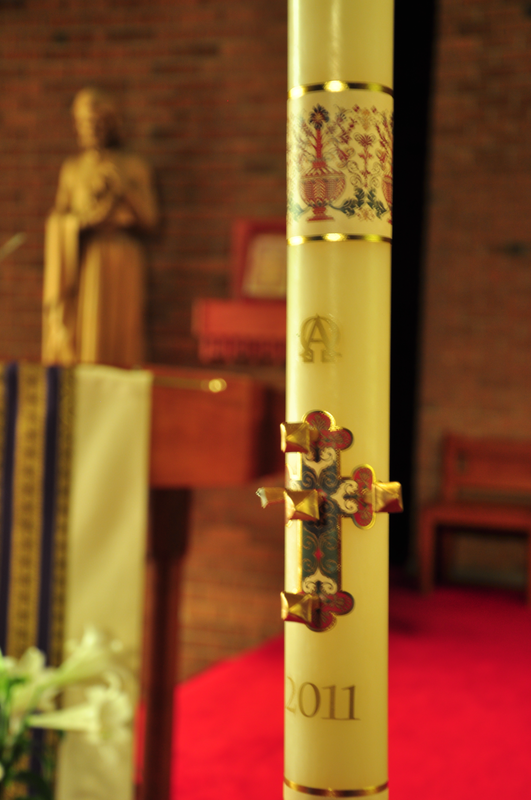 It is now in the alcove behind the pews. 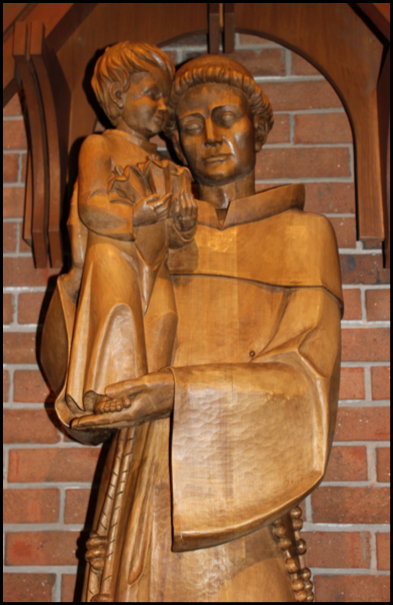 The Joseph Bartos, Sr., family donated this statue that stands at the bottom of the staircase in the Mercy Center. You can spot this statue at the end of the hallway in the school building. This garden statue was donated by Ray and Harriet Tokarz in honor of the OLBS 90th anniversary. It is flanked by stone benches outside on the north side of the church.